In order to use your BDO Retail Internet Banking account to make purchases from Dragonpay-accredited merchants, you have to undergo a one-time registration process. Follow the steps outlined below. 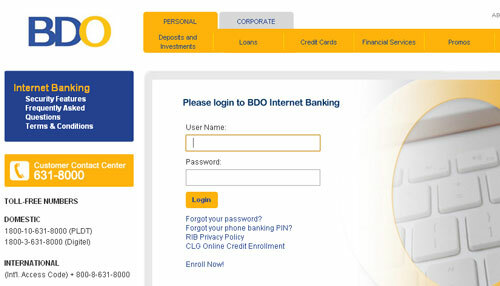 Login to your BDO Retail Internet Banking account (https://www.mybdo.com.ph). 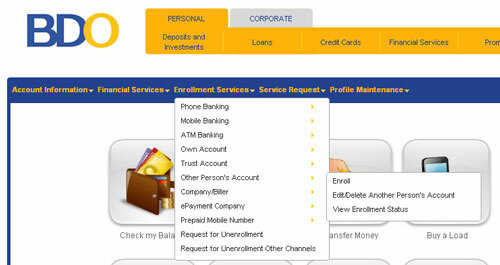 From the main menu, go to Enrollment Services >> Other Person’s Account >> Enroll. Fill up the application form on screen. Under Third Party Account Enrollment, enter “001678005430″ for Account No, “Current/Checking Account” for Account Type, “PHP” for Currency, “Dragonpay Corp” for Account Name, “Dragonpay” for Nickname, and “[email protected]” for the email.. Click the Submit button. 1. Print the form and submit to the BDO branch where you maintain your account. BDO can take up to 5 working days to complete the registration. 2. Validate this through the ATM (if you have a BDO ATM card). BDO can take up to 2 working days to complete this type of enrollment. 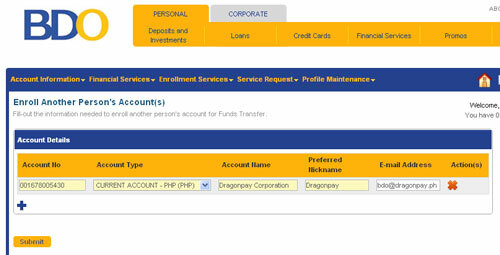 Once registered, you can already make payments to Dragonpay merchants anytime using your BDO Retail Internet Banking account. Because of the processing time required by BDO, it is recommended that you go through this enrollment process even if you do not have an immediate requirement to purchase from a Dragonpay merchant. That way, when the need arises, your account is already setup to work with our system.